Tradeteq, a trade finance-focused fintech startup, is to expand its distribution platform and release new applications and services after raising US$6.3mn of equity investment. The seed extension funding round was led by venture capital firm ADV, with the participation of several of Tradeteq’s existing individual and family office investors. It is the company’s most significant investment to date, bringing the total raised thus far to US$7mn. Tradeteq is the provider of a trade finance distribution platform that connects trade finance originators with institutional investors and enables them to interact and transact. The aim is to open up the trade finance market to a broader set of investors, using advanced technology such as artificial intelligence (AI) and machine learning to provide sophisticated credit analytics, reporting, investment and operational solutions for their trade finance exposures. So far, assets worth US$150mn have been processed through the platform, which went live earlier in the year after a soft launch in 2017. The founders, Christoph Gugelmann and Nils Behling, worked together at Bank of America Merrill Lynch and then Galena, the asset management arm of commodity trader Trafigura, before setting up Tradeteq, run out of London. Speaking to GTR, Behling says the new investment is a “significant step” for the company and its vision of making trade finance investable and establishing trade finance as an alternative asset class. “It’s building on the foundation that we have laid over the past months, but it will really be bringing our offering to the next level,” he says. Investment delivery is one of the areas where Tradeteq will now look to enhance its offering: within the next few months the firm will launch a flexible repackaging offering that transforms exposures into notes that can be purchased, held and transferred as traditional fixed income instruments. This will make it more straightforward for institutional buyers to invest in trade finance exposures. Another focus area will be the implementation of AI for credit scoring: Tradeteq will now be able to “speed up the development, to hire additional resources and to expedite building further on what we have”, explains Gugelmann. He adds that the firm will also seek to “expand aggressively by teaming up with third parties in non-core areas, such as credit insurance and fraud detection systems”. The company opened a Singapore office in March, from which it is now building its Asia client base. The firm also plans to open an office in the US by the end of the year. 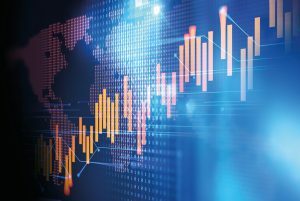 The post Trade finance distribution platform to expand AI capabilities after US$6.3mn investment appeared first on Global Trade Review (GTR). Banks have confirmed their plans to bring Hong Kong’s blockchain-based platform for trade finance to fruition, as reported by GTR in June. ANZ, Bank of China, Bank of East Asia, DBS, Hang Seng Bank, HSBC and Standard Chartered will be the launch banks of the project. The software is being being built by OneConnect, the fintech arm of Ping An Group, a Chinese insurance company. Deloitte is the consulting partner. The Hong Kong Monetary Authority (HKMA) is behind the initiative and first launched a proof of concept with the banks in March 2017, establishing whether blockchain technology could be used to digitise the trade finance sector. The platform was mooted to go live in September, but reports in other media have indicated that the date has been brought forward to August. With platforms including we.trade in Europe and the global R3 consortium also readying live transactions, momentum is building for a technology which has been the source of much hype in the trade finance industry. HKMA is also working with its counterpart in Singapore, the Monetary Authority of Singapore (MAS) to launch a cross-border trade finance platform on blockchain, the Global Trade Connectivity Network (GTCN). Last week, it also inked an agreement with financial regulators in Abu Dhabi to develop bilateral blockchain-based cross-border trade finance links. The HKMA’s deputy chief executive, Howard Lee, says the aim of the project is to “help digitise trade documents and automate trade finance processes to reduce risks and increase the financing capabilities of the banking industry”. He adds: “The next major milestone of this project is to link up with other trade platforms in other jurisdictions to further facilitate cross-border trades.” Hong Kong was the nerve centre of HSBC’s recent maiden transaction on blockchain, which it conducted with ING and Cargill, using R3 Corda technology. The bank’s global head of growth and innovation, Vivek Ramachandran, says: “The announcement is further proof that blockchain has the potential to digitise trade by eliminating inefficient processes and reducing the amount of unstructured paper. 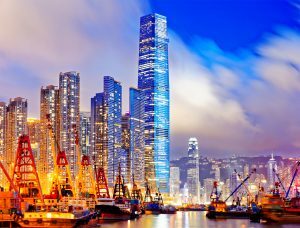 We believe Hong Kong is well positioned to benefit as one of the most active and dynamic trade markets globally.” Biswajyoti Upadhyay, regional head of trade for Greater China and North Asia at Standard Chartered, adds that Hong Kong is a natural hub to launch an early issue blockchain platform for trade, given its regional importance. He adds: “Digitisation of trade is integral to our bank’s strategy, with the aim of better supporting the financing and information needs of our clients and their ecosystem.” Singapore bank DBS is one of the institutions involved in the trade finance platform in its home country, as well as the development of the bilateral GTCN between Singapore and Hong Kong. Head of global transaction services for the Hong Kong branch of the bank, Sohfern Boey, says: “With the growing complexity of global financial systems, collaboration with partners through digitisation in the trade ecosystem creates greater transparency resulting in better risk management. This allows for inclusion of more related parties on a single platform.” The post Details of Hong Kong’s blockchain trade finance platform revealed appeared first on Global Trade Review (GTR). The we.trade blockchain platform is now live across 11 European countries, with four banks closing seven trade transactions. The pilot transactions, which took place over the last five days, were carried out by 10 companies across five countries. The four banks involved were HSBC, KBC, Nordea and Rabobank. Powered by Hyperledger Fabric, we.trade is a solution for managing, tracking and protecting open account trade transactions between SMEs in Europe. It connects parties involved in a trade deal in one place, helps SMEs initiate new trading relationships and provides them with easy access to a range of financing solutions. we.trade has nine founding members, which also include Deutsche Bank, Natixis, Santander, Société Générale and UniCredit. The project’s IT vendor is IBM. In April, the banks took a crucial step toward the commercialisation of we.trade, creating a legal entity to manage and distribute the platform. In a statement, Roberto Mancone, COO of we.trade, calls the live transactions a “massive achievement”, adding that they prove that the platform is a “robust and commercially viable proposition”. “This really is collaboration at its finest. Not only has we.trade built a technical solution, it has also managed to create real collaboration across multiple banks and increased the connectivity of the trade ecosystem,” he says. HSBC played a major role, taking part in four of the seven pilot transactions. While we.trade is primarily aimed at cross-border trade, it can equally be used for domestic transactions. As such, three of HSBC’s pilots was done internally between HSBC branches in the UK and Ireland, while one was executed together with Nordea. The trade with Nordea involved UK-based company Fluid Pumps, which used the platform to complete an open account sale with GPS Food Group in Finland, supported by a bank payment undertaking. The other banks in the consortium are currently working to complete their first transactions over the coming few months. The next step will be for the banks to bring a commercial product to the market in the fourth quarter of 2018, which will include onboarding more banks and their customers in Europe. The intention is to expand globally in 2019, with Asia being the next target market. Other banks can join we.trade by purchasing a licence. This is designed to expand the usership as quickly as possible. At present, we.trade is operating across 11 European countries: Belgium, Denmark, Finland, France, Germany, Italy, the Netherlands, Norway, Spain, Sweden and the UK. “We have a very extensive list of banks knocking on the door, in various stages,” Raphael Barisaac, global co-head of trade finance at UniCredit, told GTR on the sidelines of the Blockchain Summit in London last week. But, he added, “for now, we have decided to focus on getting the commercial version up and running full steam ahead – thus enabling as many clients possible to use the platform”. He noted that the customer feedback so far has been “very positive”. The post First four banks go live on we.trade blockchain platform appeared first on Global Trade Review (GTR). The banks involved in the project at this point are Bangkok Bank, BNP Paribas, Commerzbank, DNB, ING, OP Financial Group, RBS, SMBC and Standard Chartered, with Natixis being the latest to join in late May. The post TradeIX to “aggressively” grow blockchain ecosystem after ING investment appeared first on Global Trade Review (GTR). The post Blockchain-based certificates of origin come to Kenya appeared first on Global Trade Review (GTR). Investors: how will you leverage the expected growth of the trade finance market? Comments Off on Investors: how will you leverage the expected growth of the trade finance market? A new study by Technavio came out at the end of May, stating that the global trade finance market would grow at a compound annual growth rate of 3.75% between 2018 and 2022. The prediction is based on market analysis with inputs from industry experts including key financiers like BNP Paribas, Citigroup and HSBC, amongst others. Despite an increase in protectionist rhetorics, trade flows are forecast to grow by 4.3% a year, reaching nearly US$19tn by 2020, according to the 2017 ICC Trade Register. In the same report, the ICC points out that trade finance revenues are expected to reach US$44bn by 2020, based on growth projected in markets where trade is conducted to a significant degree on the basis of traditional trade finance. The numbers are clear: the trade finance market is on an upward trajectory – one that no one in the financial sector can afford to miss. Unsurprisingly, the trend of rapid technological advances has been identified as a key trend driving this market growth. “Technological advances boost the increased automation and standardisation of trade financing transactions. This reduces the risk of manual transactions,” a Technavio analyst comments in the firm’s study. In particular, the involvement of clearing houses as intermediaries between buyers and sellers of financial instruments are seen as crucial to growth by the authors. Such intermediaries are making transactions safer, but also more investable. More and more trade finance players are investing in fintech platforms that can streamline and facilitate their processes, but also allow them to distribute parts of their trade finance portfolios to other banks and institutional investors, as a way to maximise the opportunity. There is a recognition in the market that trade finance assets are attractive to investors, since they present a lower default risk than many other asset categories. Yet, distribution to institutions other than banks remains rare. Why is that? Various surveys cite a lack of standardisation, fear of non-compliance to regulations and the low efficiency of transactions (which so far have mainly been conducted on an isolated basis) as reasons why investors are still rarely present in transactions. All these obstacles can be overcome with the use of technology such as artificial intelligence and machine learning, which are already operational in many sectors – including credit analytics. The emergence of new platforms increasing the transparency and efficiency of trade transactions, combined with the expected growth of the sector in coming years, means there has never been a better time for institutional investors to get involved. Can tighter oversight rein in risks in Singapore’s booming invoice finance market? Comments Off on Can tighter oversight rein in risks in Singapore’s booming invoice finance market? The industry’s unregulated nature renders investors vulnerable as revealed by a massive S$6.9m fraud case. Investors are treading more cautiously after an unravelling $6.9m sham at a Singapore crowdfunding site laid bare the vulnerabilities and risks associated with an industry promising quick returns to growth-hungry SMEs. The move comes as a local news report revealed that invoice financier Capital Springboard sold around 60 fake invoices worth $6.9m to investors from Vangard Project Management (VPM), an SME specialising in interior design. As the lion city throws open its doors to SMEs with the hopes of driving innovation and attracting international talent, a number of financing methods have similarly cropped up to meet the various capital needs of growing businesses. Obtaining financing has been cited as the fourth greatest growth challenge hounding startups, ceding only the top spots to chronic manpower problems and limited market size, according to a report from NUS Enterprise. From venture capital and angel investing to traditional business loans to various incubator and accelerator programmes, invoice financing has emerged as another viable funding method for cash-strapped SMEs. Invoice financing enables businesses to secure cash by leveraging against the value of payments they are owed from their customers for an agreed return to investors, providing them with instantly available capital to pursue further growth opportunities. Investors assume the cost of between 70 to 90% of a business’ total invoices which works best for short period of time ranging from two weeks to a year. Higher flexibility, easier access to funding and speedier funds provision as opposed to traditional banking loans are invoice financing’s greatest strengths, Dimitri Kouchnirenko, founder and CEO of online multi-currency invoice exchange platform Incomlend told Singapore Business Review. “Businesses with tight cash flows due to large receivables or long credit terms from customers usually utilise this product. Historic or existing cash balances do not matter as much as repayments are secured via payment on invoice,” added Pawel Kuznicki, CEO of peer-to-peer and invoice financing platform Capital Match. Whereas it would take months for a traditional lender to review a facility limit, invoice financing can disburse funds often within 24 hours and borrowers often have little to no collateral to provide, Kouchnirenko added. “A rising rate environment also makes it difficult for SME’s to acquire funding through traditional methods such as the banks and the scrupulous vetting procedures generally expose fundamental flaws in the SME’s structure,” explained Oriano Lizza, a sales trader at CMC Markets. This means that the method arguably carries less risk of default for lenders than short-term financing as the borrower has already delivered to its customers amidst reasonable expectations of being repaid. However, the method is not entirely without risk as the unraveling fraud with Capital Springboard revealed, especially as VPM’s invoices with CS were non-notified in nature. An invoice financing of this type means that the SME did not inform its customers of its working relationship with platforms like Capital Springboard including the fact that it was tapping the financier for its funding needs. This method of invoice finance inherently raises the risk premium, noted Kouchnirenko, as the lender is left with little option to verify the authenticity of the invoice as it is not able to confirm it directly with the buyer. “Most often this could lead to the lender being exposed to fraud. Due to its highly risky nature, not only does it increase the probability of fraud but it also raises the risk premium hence the cost of financing for the borrower,” the Incomlend founder pointed out. Capital Match’s Kuznicki similarly suggested that, whilst non-notified invoice financing is more troublesome in terms of verification, the platform is able to verify invoices as well as provide supporting documents including certified delivery orders and progress claims with the buyer to guarantee that the financing is backed by a legitimate invoice where the work has already been completed, although this is not necessarily practiced by all lenders in the market. The recent fraud that took place calls attention to the relatively unregulated nature of the industry that has allowed fraudsters to slip to the cracks and take advantage of a legitimate funding method that has provide the necessary financing fuel for countless businesses in the past. Although demand from SMEs for invoice financing has not dampened significantly, investors are proceeding with more caution amidst calls for greater oversight to prevent similar lapses in the future. With this case as the catalyst, MAS could possibly proceed to reduce the number of new market entrants or intensify its regulatory reach and set more stringent risk management standards to set a precedent for similar cases in the future. Although the number of approved funding applications may diminish in the short term as a result of intensified regulatory scrutiny, the industry is poised to benefit in the long run from common basic standards and practices in place to ensure the stability and transparency of the funding process, Kouchnirenko added. Crowdfunding platforms are similarly doing their part by ramping up their risk management capabilities. Carrying out regular background checks on borrowers, scrutinising new applicants and creating a shared database of blacklisted borrowers between platforms and traditional lenders can also do wonders to avoid multiple finance for the same receivable title, he added. “Different lending platforms are communicating, albeit unofficially, to ensure errant SME owners are blacklisted by the various credit teams,” said Kuznicki. For Kouchnirenko, the case is not only a timely reminder of the pitfalls of investing but also an opportunity to improve funding methods for SMEs. This article first appeared in Singapore Business Review. London-based Crown Agents Bank has hired Richard Weald as its first ever chief technology officer (CTO) as part of its strategy to digitalise its services as a transaction bank. Weald was previously global head of IT operations and information security at Earthport, a forex and cross-border payment services provider in London. He brings more than 20 years’ experience in financial markets to his new role in which he will oversee the bank’s use of technology to align and enhance operational processes, client due-diligence and on-boarding, risk management and product strategy. He will be tasked with outlining a long-term technology roadmap for delivering the digital processes and solutions the bank’s stakeholders and customers require. The bank has recently joined CCRManager, the electronic platform for the distribution of trade finance assets. It has also rolled out EMpowerFX, which the bank’s CEO Albert Maasland says is “technology that allows us to offer currencies and FX payments in and out of a range of frontier and emerging markets quickly and efficiently”. The post Crown Agents Bank appoints CTO in bid to fully digitalise appeared first on Global Trade Review (GTR). HSBC and ING have conducted their first live, commercial trade finance transaction on blockchain, for agrifood trading giant Cargill. The deal was completed using the R3 Corda platform, with a cargo of soybeans exported from Argentina to Malaysia. Cargill was the exporter and importer on a deal that saw Cargill Geneva selling soybeans on behalf of Cargill Argentina, and Cargill Singapore buying the goods on behalf of Cargill Malaysia. It was done using the letter of credit (LC) module of Corda, which has been developed by 12 banks. This enabled the transaction time to be reduced from a standard five to 10 days, to 24 hours. The LC was issued by HSBC, with ING acting as the advising bank. The value of the transaction has not been disclosed. While the LC was executed on blockchain, other elements of the transaction cycle – such as the bill of lading – were not. Vivek Ramachandran, HSBC’s global head of innovation and growth for commercial banking, tells GTR that we can expect to see another few live transactions on this platform, as the bank learns how it interacts with the systems of other banks and corporations. However, the primary focus now will be on driving industry-wide adoption. While this is arguably the most advanced trade finance development on blockchain to date, the industry has a couple of years-long history of trialling the technology, with the hype at times reaching deafening levels. In late-2016, Commonwealth Bank of Australia and Wells Fargo closed a US$35,000 transaction for two subsidiaries of Brighann Cotton, taking 88 bales of cotton from Texas in the US to Qingdao in China, using Skuchain’s Brackets blockchain-based solution. Since then there have been a plethora of pilots, trials and proofs of concepts, but general frustration in the industry that nobody is bringing blockchain technology to operational trade finance. There have been signs over recent months, however, that this is getting closer. Batavia, a blockchain-based trade finance platform developed by IBM and a consortium of five banks, completed its first live transactions with corporate clients in April and is thought to be close to commercial use. we.trade, a European platform for managing, tracking and protecting trade transactions between SMEs, backed by nine banks, is aiming to launch to business clients in the third quarter of 2018. In India last month, meanwhile, a government-backed invoice financing platform went live with a blockchain-based solution that allowed the various companies involved to share information to prevent double financing via blockchain. However, there is no financing element to this product. The news comes two months after HSBC’s senior innovation manager, Joshua Kroeker, told GTR that the bank was ready to do live trade finance transactions on blockchain. The bank had been involved in one of the earlier blockchain projects for trade finance when it worked with Bank of America Merrill Lynch and the Infocomm Development Authority of Singapore (IDA) on a proof of concept to mirror letters of credit using distributed ledger technology. However, its work on the Corda platform has apparently accelerated beyond its other blockchain developments. Corda is a platform owned by R3, a US company founded by David Rutter, with members including more than 200 banks, financial institutions, regulators, trade associations, professional services firms and technology companies. In April, an application for syndicated loans called Fusion LenderComm became the first to go live on the Corda platform. The app had been piloted by banks including BNP Paribas, BNY Mellon, HSBC, ING, Natixis and State Street. It had been developed since early-2017 by fintech company Finastra and R3. ING has also been heavily involved in the trade-based developments on blockchain technology. As well as being among the banks working with Fusion LenderComm, it was reported to be working with trading house Mercuria and French bank Société Générale to build a blockchain solution for oil trading, early in 2017. 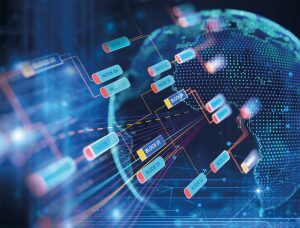 The post HSBC and ING complete live trade finance transaction on blockchain appeared first on Global Trade Review (GTR). Incomlend has become an affiliate member of FCI, the largest global factoring industry association, and the first Singapore fintech to join the association. FCI is the leading representative body for factoring and financing of open account domestic and international trade receivables, representing over 75% of the global factoring and receivables finance industry. FCI represents more than 400 top independent factoring companies in 90 countries around the world. For 50 years FCI has served as the voice of the global open account receivables finance association and network by facilitating and promoting factoring, invoice discounting and supply chain finance across regions. “Being the first Singapore fintech member of FCI is a great honour for Incomlend and a valuable recognition from the most prestigious and influential factoring body in the industry,” comments Dimitri Kouchnirenko, co-founder and director of Incomlend. “It is also a validation of Incomlend’s strategy focused on international receivables finance. The global factoring industry is undergoing a rapid technological transformation, where alternative finance platforms start coming forward to change the landscape and we are thrilled to be a part of the movement with the industry’s support.” “We welcome Incomlend to the FCI network and are glad to provide Incomlend with our worldwide support for receivables finance,” adds Peter Mulroy, secretary-general of FCI. “This is a landmark event confirming FCI’s commitment to growing digitalisation of global trade finance.” The post First Singapore fintech to join FCI appeared first on Global Trade Review (GTR). Yes Bank has launched a solution that uses robotics to digitise part of the trade finance payments process. The tool automates the submission of the bill of entry, an account of traded goods entering the port. A robotics solution then verifies the documentation, which is submitted digitally, by cross-checking it with the Indian government’s Import Data Payment and Monitoring System (IDPMS) or Export Data Processing and Monitoring System (EDPMS). Payment is then released, with the bank saying it has the potential to reduce payment turnaround time by 80%. ­­Yes Bank plans to roll the solution out to 2,000 corporate clients servicing markets in China, the US, Singapore, Germany and Hong Kong. The plan is to eventually “extend to other segments as appropriate, eventually to all trade finance products wherever applicable,” Asit Oberoi, global head of transaction banking, tells GTR. The development comes one year after the Reserve Bank of India launched the IDPMS and EDPMS systems to help digitise trade in India, a move which has been widely hailed as improving efficiency in India. “This solution would not have been possible without the visionary introduction of the IDPMS and EDPMS by the RBI,” Oberoi says. It also comes on the back of the biggest financial fraud in India’s history. At a branch of Punjab National Bank (PNB), fraudulent letters of undertaking (LOUs) were used over a seven-year period to skim US$1.7bn from confirming banks overseas. The RBI has responded by banning the LOU, while the clamour to further reduce the dependence on paper-based solutions among India’s trade finance banks has grown. Oberoi declined the chance to comment on the PNB situation, but did note that “import finance from overseas lenders on an LOU for direct import is not available now”. Yes Bank claims to be the first Indian bank to digitise this part of the trade cycle, but there have been moves from foreign banks to take advantage of the RBI’s digital agenda. In October last year, Deutsche Bank launched TradePay, the first paperless import payment solution in the country. The solution uses IDPMS to verify import payments by checking them against details made available by the client on the system, eliminating the need for clients to share any physical documentation. This followed Citi launching a solution which allows clients to share import payment information with the bank by quoting the RBI’s IDPMS number, without having to share documents. This was launched in April 2017. In the wake of the PNB fraud, we can expect to see digitisation gain pace. International banks have been reluctant to accept guarantees from import financing Indian banks, which has been choking importers from vital capital. The post Yes Bank launches robotics tool to automate part of trade finance cycle appeared first on Global Trade Review (GTR). Two former investment bankers have launched Tradeteq, a cloud-based platform that matches trade finance originators with institutional investors. The platform went live this week after a soft launch in 2017, during which US$130mn of assets were processed, across seven international jurisdictions. During the soft launch, the originators were non-banks, typically factoring companies and corporate finance advisors organising funding for their corporate clients. The company is based in London but will be opening a Singapore office later this month. The founders, Christoph Gugelmann and Niels Behling, worked together at Bank of America Merrill Lynch before they both joined Galena, the asset management arm of commodity trader Trafigura. The pair then set up Thames Path Capital, a trade finance-focused asset manager, but found the market beseeched by gaps blocking wider distribution of assets. This is a problem Tradeteq sets out to address. Tradeteq makes money from the platform by charging a fee based on volumes passed through the platform. There are also premium services such as credit analytics and reporting. Registration fees may be introduced further down the line. Behling says he sees “tremendous demand for the platform, so we are in the fortunate position that both sides [buyers and sellers] are very interested”. “We really have seen trade finance asset distribution from every angle, and we understand the investor side extremely well. This is what gives us the edge to distribute trade finance assets from banks to institutional investors,” adds Gugelmann. The post Trade finance distribution platform Tradeteq launched by ex-bankers appeared first on Global Trade Review (GTR). HSBC is on the verge of doing live trade finance blockchain transactions with clients, with the bank set to announce a series of pilots in the coming weeks. In a media call this week, senior innovation manager Joshua Kroeker revealed that the bank is “confident enough to actually do a live transaction” using the technology, having spent the past two years working through various teething issues. HSBC was involved in one of the earlier blockchain projects for trade finance, when it worked with Bank of America Merrill Lynch and the Infocomm Development Authority of Singapore (IDA) on a proof of concept (PoC) to mirror letters of credit (LCs) using distributed ledger technology (DLT). The bank has continued to work on this project since it was announced in August 2016, and it seems that this could be one of those to move into pilot stage. The intervening period has been spent improving the solution’s robustness and security, to a point at which the bank felt comfortable involving customers. “Going from that PoC in 2016, we’re at the tipping point of getting our customers involved in live transactions in the coming weeks and months. The technology has come a long way, we’re much more comfortable with its security and scalability,” he told GTR and other media. “That’s the stage we’re at now, we want to get the customers involved to do those [pilots]. The next stage after that, in getting it live into production, is a further amount of work around the application but more work on the network,” he added. Kroeker was unable to divulge much detail about the specific pilots that are due to kick-start, but said that documentary credit will also be among the first areas of focus, with the bank set to test LCs on R3’s Corda platform this year. “I’ve spent a large amount of time over the past two years speaking to lots of our largest trading clients. For the most part, they have worked very hard to streamline and digitise their operations where possible, but the product that gives them the most trouble is the documentary credit. This product is one of the first we’re going to pilot, which is going to be exciting,” he added. It’s worth noting, however, that the technology is still a long way from commercial use, for HSBC at least. As well as developing the platform and the solution, a network must be in place so that the full transaction can be completed on the blockchain, which means on-boarding other banks, regulators, customs and all parts of the trade cycle. “We see that developing throughout the year so that in 2019, around the same time, we should be in a position to have both the network of banks, corporates and others, and the app ready to use on a wider scale,” Kroeker said. Meanwhile, the bank is hoping that its adventures in blockchain will leave it well-placed to cater for the “digital natives” in Asean, which is projected to be one of the world’s growth hubs for digital services over the coming years. The press conference was called to discuss the bank’s digital agenda in the region, which is shaping up to be an online battleground in the years to come. By 2020, Asean will have 420 million internet users, with an internet economy topping US$20bn by 2025. E-commerce, by the same year, will be worth US$88bn. There’s a sense that with 70% of the 630 million population across the Asean group of nations being aged under 40, banks and companies with strong online and digital presences could tap into a huge growth market. “The OECD reports that the documentary costs and administrative procedures of lending can increase costs by up to 23%. Inefficient border processes add 5% to the cost,” said Ajay Sharma, HSBC’s regional head of global trade and receivables finance. “In Asean, they are removing barriers, simplifying and automating custom procedures, there are lots of things being done,” he added. The post HSBC ready to do live trade finance transactions on blockchain appeared first on Global Trade Review (GTR). The group behind the Marco Polo blockchain trade finance project – R3, TradeIX and a number of international banks – have successfully carried out their first proof of concept and are now ready kick off the project’s pilots. Launched in September 2017, Marco Polo is an initiative to develop an open account trade finance platform powered by blockchain technology, which aims to enable real-time connectivity between trade participants, improve visibility into trade flows and simplify access to credit and risk mitigation services throughout the trade lifecycle. BNP Paribas, Commerzbank and ING have been the core banks taking part in the proof of concept throughout the second half of 2017. According to Ivar Wiersma, head of innovation at ING, the technology “ran fast and smoothly and the positive results showed us we are on the right track and ready to take the next step by entering into a pilot”. Other banks involved in the initiative since its launch in September include Bangkok Bank, Barclays, BBVA, Bladex, CTBC Bank, Intesa Sanpaolo, Shinhan Bank, Royal Bank of Scotland and Wells Fargo. Standard Chartered, DNB and OP Financial Group have joined the project more recently. “The fact that more banks have joined illustrates the interest in this project and in the potential of distributed ledger technology in supply chain finance solutions,” says Jacques Levet, head of transaction banking, Emea at BNP Paribas. The parties are now working with corporates and other trade finance players on internal infrastructure setup, preparing to enter into the pilot phase, an initial and limited roll-out of the system into production. Banks will complete different pilots depending on their specific focus within trade finance. Initially the initiative is focused on three areas of trade finance: risk mitigation, payables finance and receivables finance, but will expand as the banks become familiar with the technology and infrastructure. The solutions will be delivered via TradeIX’s TIX platform, an open platform providing trade finance specific tools, applications and APIs, built on R3’s Corda as the underlying blockchain infrastructure. “The initial project is about connecting buyers, sellers, banks, trade service providers in the open account ecosystem, connecting them all on one single information layer that collects critical trade data around purchase orders, invoices, financing activities. Then solutions are built on top of that,” explained David Sutter, head of platform strategy at TradeIX, to GTR at the time of the project launch. He also said they hope to on-board in total 20 to 25 banks by the end of 2018. The ambition is to expand the initiative to include third-party service providers, such as credit insurers, software companies and logistics providers. R3 expects to go into production in late-2018 or early-2019. Marco Polo is one out of two trade finance projects that R3 is running simultaneously. The other, Voltron, was the first trade finance prototype to be showcased by R3 in mid-2017. Built together with CGI and a group of 11 global banks, the aim is to streamline the processing of sight letters of credit, and the parties are currently piloting the platform with the goal of making it widely available this year. Speaking to GTR in September, Sophie Wiberg Holm, project lead at R3, said the two applications “complement each other nicely”, and that, down the road, the larger strategy is “to see how these different trade finance initiatives can merge into a larger ecosystem of trade products”. The post R3, TradeIX kick off pilots for Marco Polo blockchain project appeared first on Global Trade Review (GTR). Ten international law firms have joined a new initiative by R3 to develop advice on the legal aspects of blockchain technology. The enterprise software firm has launched its new so-called Corda Blockchain Legal Centre of Excellence with the purpose of bringing together law firms to collaborate on best practices, gather feedback from the legal sector and also help them to better engage with the new technology. The law firms involved in the project from its outset include Ashurst, Baker & McKenzie, Clifford Chance, Crowell & Moring, Fasken, Holland & Knight, Perkins Coie, Shearman & Sterling, and Stroock. The launch comes amid growing involvement of law firms in R3’s various blockchain projects. They increasingly work with clients to provide specialist advice on the legal aspects of the technology, such as structuring business networks and drafting smart contracts – a legal document written into code and stored on the blockchain. Members will have access to R3’s research, monthly project demos to give a practical understanding of blockchain applications, as well as Corda training workshops that R3 has developed specifically for attorneys. These will help them advise their clients on legal and regulatory issues associated with R3’s open-source blockchain platform Corda. R3 is currently behind a range of blockchain applications, including two in the trade finance space. Voltron was the first trade finance prototype to be showcased by R3 in mid-2017, with the aim of streamlining the processing of sight letters of credit. Built together with CGI and a group of 11 banks, the parties are currently piloting the platform with the goal of making it widely available this year. The other project, Marco Polo, is an open account trade finance platform developed together with fintech firm TradeIX and a number of global banks, which enables real-time, seamless connectivity between trade participants and simplifies access to credit and risk mitigation services throughout the trade lifecycle. The banks have just started the first pilot and R3 expects to expand the initiative in 2018 to include additional banks and third-party service providers. The post Law firms join new R3 network to advise on blockchain appeared first on Global Trade Review (GTR). Two former senior bankers have launched a new blockchain-powered auction platform for the distribution of trade finance assets, the first of its kind based out of Dubai. Under the name TradeAssets, the online marketplace aims to put an end to banks’ current extremely inefficient process of buying and selling trade finance assets. This, he tells GTR, will bring “tremendous opportunities for banks”. He estimates that the platform will enable a bank to conclude on average three times more deals than it currently does. Sankaran, former head of trade finance at Commercial Bank of Dubai, founded TradeAssets together with Sumit Roy, previously regional head of cash management for financial institutions at Deutsche Bank in Dubai. They differentiate their new platform by the fact that it is very simple – they have intentionally kept it purely for bank use. The intention is to bring together a broad ecosystem of primary and secondary financial institutions and development banks in one place. In short, a seller bank will be able to list assets for sale, and buyer banks can place a bid and agree the price with the seller directly on the platform. In the first two years, the founders target more than 100 clients and aim to reach US$1bn in transaction volumes. The platform will initially launch in the UAE and the wider Middle East, before expanding to selective markets internationally, the first being Bangladesh, and finally going global. A beta working group of five UAE banks, an Omani bank, a Singapore bank and four Bangladeshi banks (who have not yet been named) have been testing a beta version of the platform over the past few weeks. The developer, fintech firm KrypC, is currently fine-tuning and refining the system. Pilots have already been conducted using dummy data, and the intention is to carry out official real-life pilots before the platform goes live in the first week of April. For a start, banks will likely use TradeAssets to conclude deals with existing partners, but over time Sankaran expects them to gradually utilise the platform to build new relationships as well. “The banks will get access to a full universe of participant banks from different regions, because now there are no barriers. Every day the system shows matching assets from different potential partners. Suddenly, the ecosystem has become much larger,” he says. More choice and transparency also brings new opportunity for buyers to negotiate better pricing, he adds. However, it won’t purely work as an open, transparent marketplace: seller banks will be able to define a positive or negative list – basically defining the group of banks invited to bid on a deal, or excluding competitors from viewing the information in it. Similar platforms already exist in the US, Europe and Asia with the likes of Mitigram, CCRM and LiquidX gaining support. But according to the founders of TradeAssets, these have slightly different business models and ecosystems and have not penetrated TradeAssets’ target market. And as opposed to other platforms in this space, TradeAssets is the first to use blockchain technology, making it more secure and transparent. The post Blockchain platform for trade finance distribution launches in Dubai appeared first on Global Trade Review (GTR).